Well, talking about hypothyroidism and diabetes reminds me of a few of my patients who suffered from both these endocrine disorders during their pregnancies. Nowadays, these two conditions are quite common during pregnancy, so screening for the same becomes very important for early detection and planning the treatment. Pregnancy is the time when hormones play havoc in the body that may lead to these two most common endocrine conditions. The common factor between these two disorders is that both result due to an imbalance between hormones. Hypothyroidism is a condition where the thyroid gland fails to produce an adequate amount of thyroid hormones which might lead to various complications. During pregnancy, it is the elevated maternal estrogen that controls the synthesis of thyroid hormones. Again, the serum hCG levels that increase after fertilization also has a direct relationship with the thyroid activity. Hence, most of the thyroid disorders are detected in the first and second trimester of pregnancy. 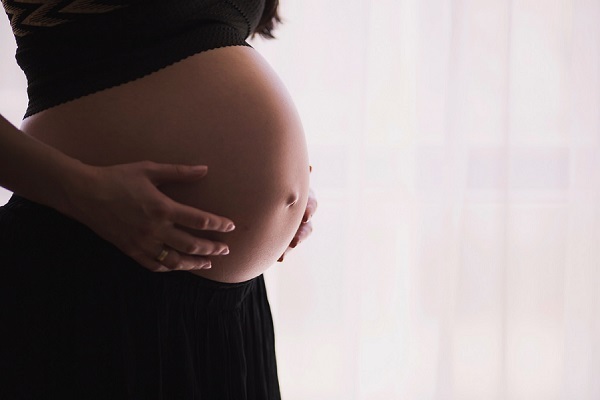 In recent research, it was found that there was a correlation between low thyroid hormone levels and high blood sugar levels during pregnancy. The blood sugar levels and thyroid function are influenced by various hormones which play an active role in continuing and maintaining the pregnancy. Studies have also shown that not only pregnancy but other factors like genetics, the region where the female resides (iodine-deficient soil), environmental factors, etc. also have a role to play in triggering both these disorders during pregnancy. After testing the females for both the conditions, they were found to be in a hypothyroid state since it disturbed the glucose homeostasis (balance). Pregnant females with hypothyroidism were found to have increased insulin (blood sugar regulating hormone) resistance thus having a greater risk for gestational diabetes. Females having subclinical hypothyroidism (where TSH values are mildly increased at least during two testings with normal T3 and T4 levels) were also found to be at risk of contracting gestational diabetes. It was also found that women having late pregnancies and a high body mass index were at a greater risk of gestational diabetes. It is also important to note that pregnant women having a family history of diabetes are at a greater risk of developing gestational diabetes than those without a family history. Likewise, a female is prone to have hypothyroidism during pregnancy in case she has a strong family history of the same. It is a well-known fact that thyroid hormone requirements increase during pregnancy. Thyroid hormones play an important role in the synthesis of glucose. T3 is the thyroid hormone which is responsible for the metabolic activity of glucose. In another specific medical study, it was proved that the levels of T4 hormone decrease when the BMI and T3 hormone levels increase. Hence, it can be concluded that obesity can trigger a hypothyroid state with an increase in the blood sugar levels and vice versa. Similarly, it is important to know that, as weight gain is one of the symptoms of hypothyroidism, you can say obesity and hypothyroidism are strongly related. In this way, this is a vicious cycle where hypothyroidism can cause weight gain and further makes one prone to have and suffer from diabetes. This can also go the other way round. A female who is already obese (may be due to genetic influences) can be found positive for a hypothyroid and diabetic state. Negligence in treating the same can further lead to high blood sugar levels causing a risk for the development of diabetes in a pre-pregnant state. As discussed earlier, the hormonal requirements increase during pregnancy, so this condition can be aggravated during pregnancy if both these conditions go undiagnosed. Hence, most of the physicians mandatorily recommend females for screening for these conditions, particularly during the first two trimesters of pregnancy. Another relationship which I would like to highlight here is that high levels of thyroid hormones (T3, T4) influence the blood sugar levels. It was concluded in another study which was a retrospective analysis carried out on females already having gestational diabetes mellitus. Out of 112 pregnant females suffering from gestational diabetes, 70 were found positive for the hypothyroid state. This confirmed the association of gestational diabetes and hypothyroidism. Many of my patients suffering from these endocrinopathies hesitantly asked me whether homeopathy is safe during pregnancy. Usually, I educate and suggest such patients homeopathy, as it is by far the safest medicine to take during this crucial phase of their life. In a few patients, mildly elevated thyroid hormone levels and blood sugar levels are considered to be normal. Hypothyroidism and diabetes during pregnancy are two such conditions which usually wane off post-pregnancy. Hence, medical intervention should be precisely thought of. The patient should be treated only if the values exceed the normal limits in more than two tests. Successful treatment depends upon close monitoring of the patient and intervening only if required. There are homeopathic medicines which can be safely administered during the pregnancy. Homeopathic medicines, such as Natrum muriaticum, Bromium, Thyroidinum, Iodum, etc. can be thought of in hypothyroidism after a complete evaluation of the case. Likewise, Acid Phosphoricum, Syzygium jambolanum, Phosphorus, and Cephalandra indica are some remedies which can be administered safely for in cases of gestational diabetes. Pregnancy is a sensitive yet an exciting phase in a woman’s life. It is a life-changing experience for each female who plans everything for her upcoming new bundle of joy. In recent times, some pregnancies come up with some allied complications, such as hypothyroidism and diabetes. Homeopathy treats the patient as a whole in an individualistic manner. One can bank on homeopathy if it is diagnosed early and treated promptly. However, cases with high levels of TSH and blood sugar levels should also seek an opinion of an endocrinologist who specializes in treating such conditions. A treatment integrated with homeopathy and conventional medicine can go hand in hand. Homeopathic treatment amalgamated with a specific diet and lifestyle changes can go a long way in treating both these disorders effectively. If you or your near and dear ones are suffering from any of these disorders, do let us know in the section below. We would be happy to help you if you have any queries related to hypothyroidism and diabetes during pregnancy. 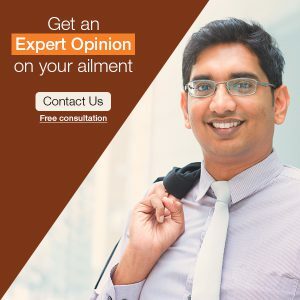 Do get in touch with Dr. Rajesh Shah’s associate doctors at Life Force Homeopathy. You may also write to us at info@lifeforce.in or give us a call at +91-22-66888888.